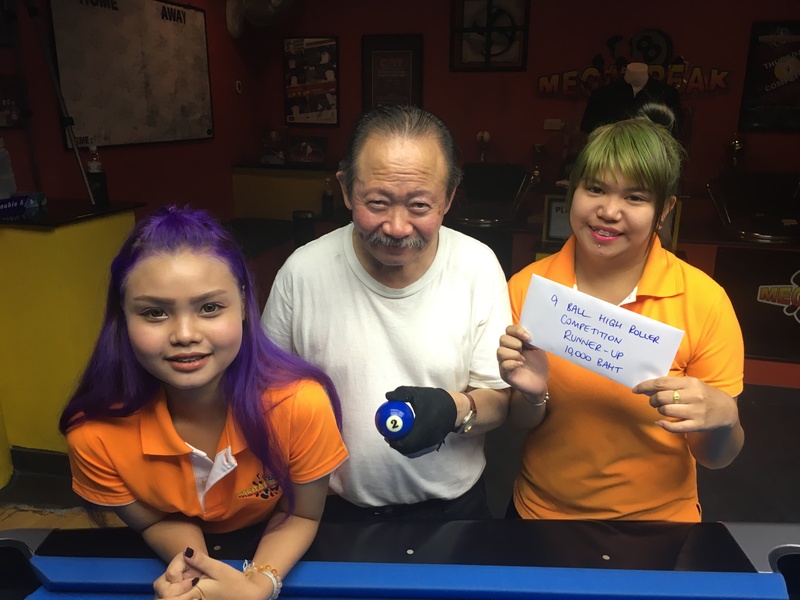 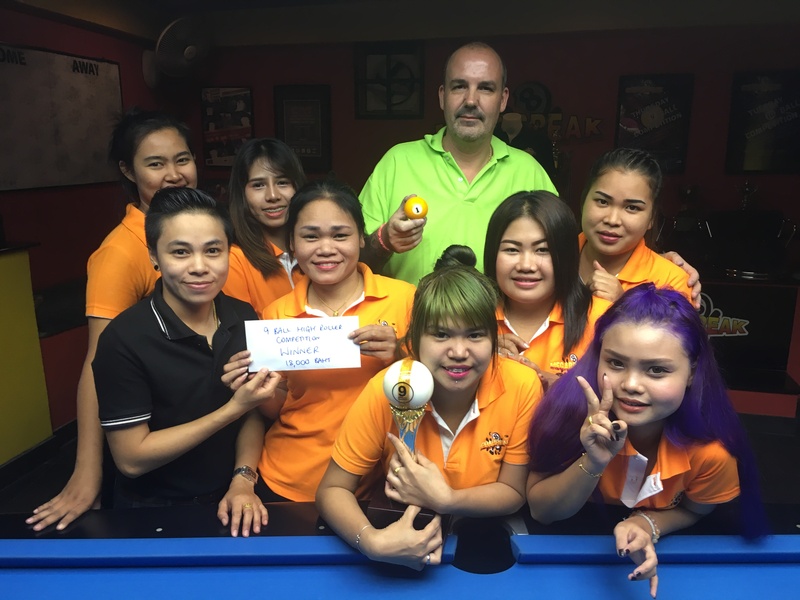 9 BALL HIGH ROLLER REPORT : MARCEL IS CHAMPION. 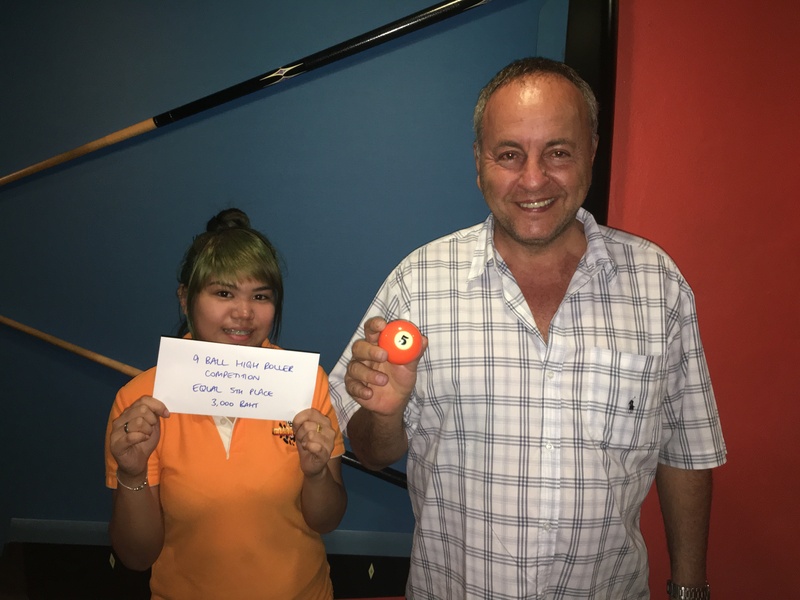 Congratulations go to Marcel Kesting from The Netherlands for winning our 9 Ball High Roller Tournament on Saturday night. 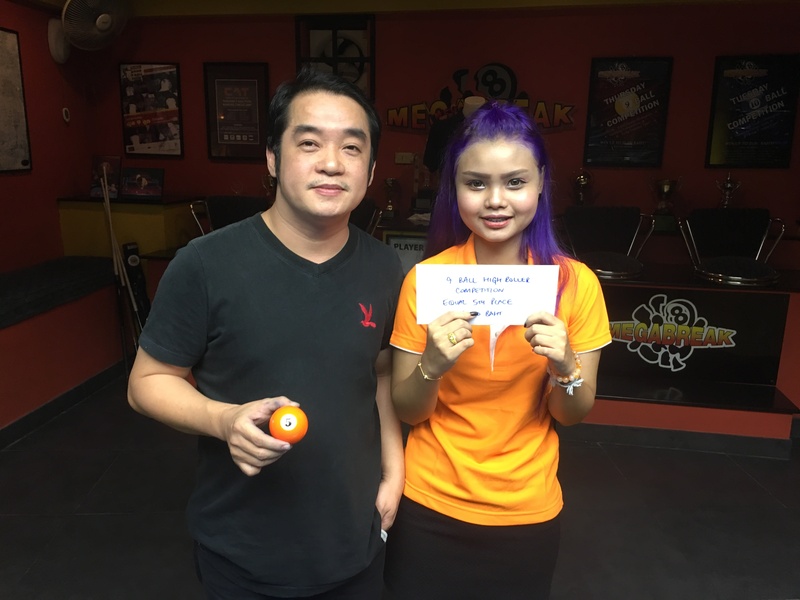 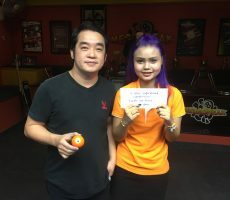 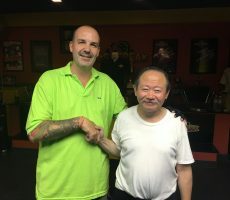 From a total entry of 30 players from 15 different countries, he defeated Kenny Wong from The USA in the final of the Double Elimination Knock-Out to collect the 1st Prize of 18000 baht. 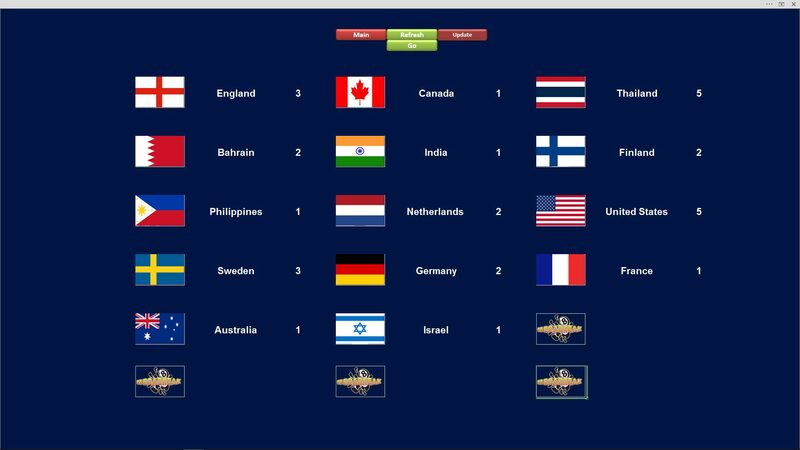 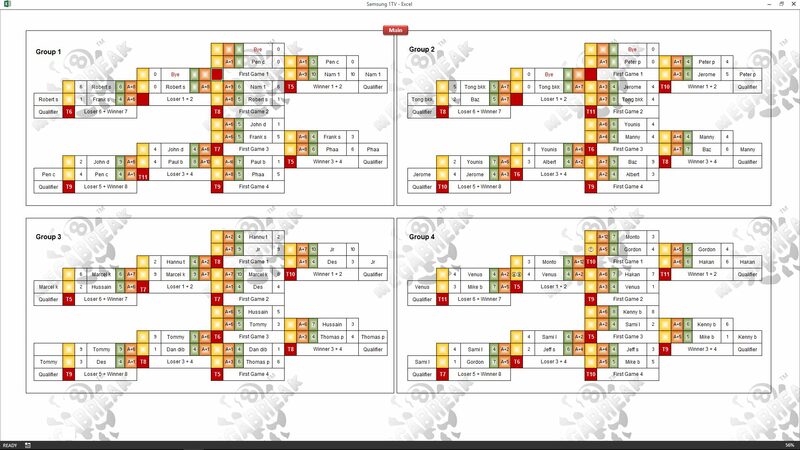 We started on Day 1 with Double Elimination groups, with 16 players qualifying into the Double Elimination Knock-Out on Day 2. 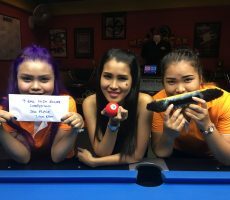 The 14 non-qualifiers on Day 1 were entered into a “Plate Competition” which saw two American players reach the final. 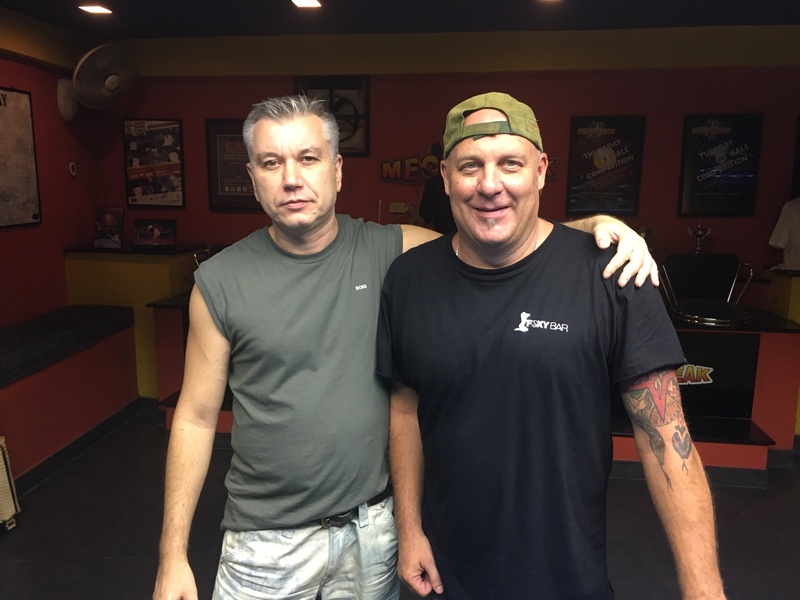 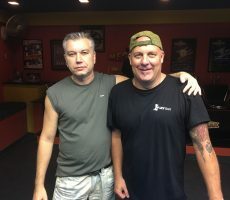 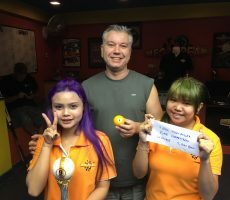 Mike Berezovsky edged past Jeff Schmitt in the deciding rack to take home the 1st Prize of 5000 baht, with Jeff having to settle for 3000 baht in 2nd Place. 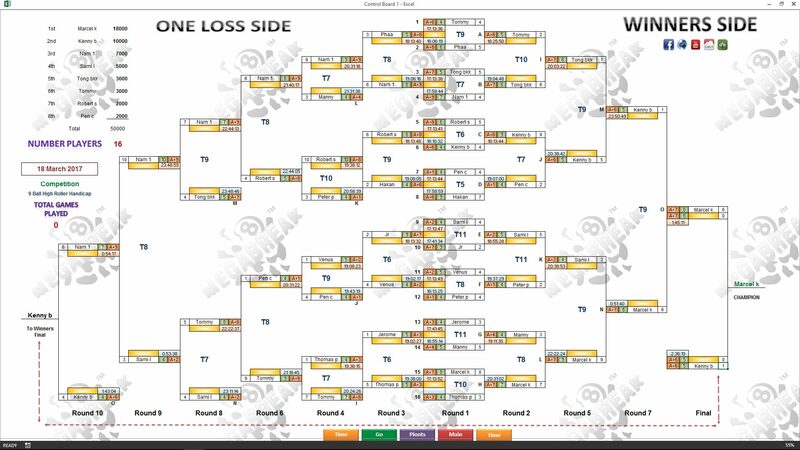 Onto Day 2, and the Last 16 players. 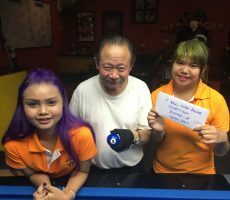 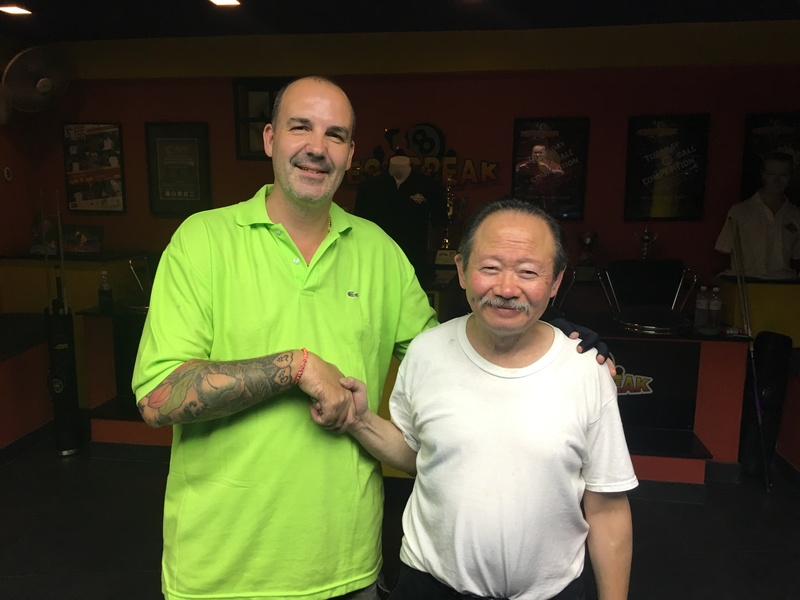 Marcel would have some close matches early on, winning his first three matches in the deciding racks, before raising his game and playing some excellent pool. 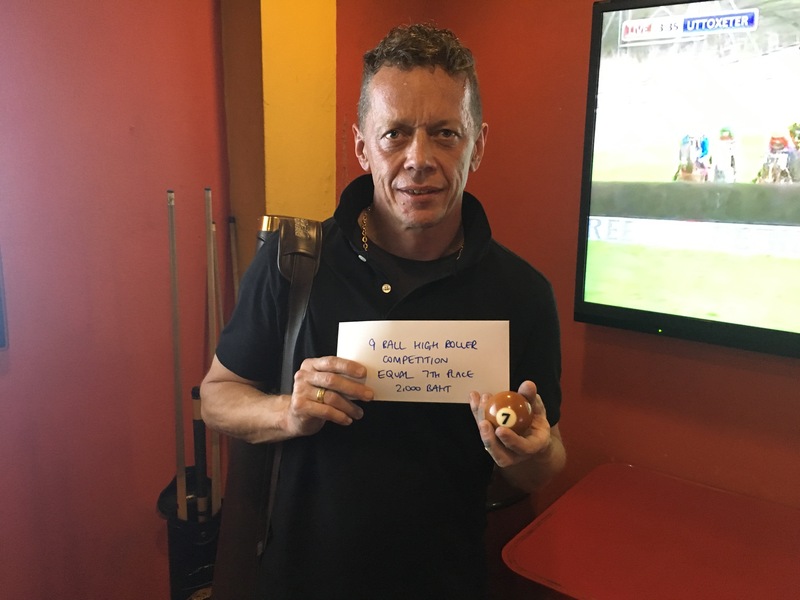 His game got stronger as the day went on, and he ended up a very worthy winner. 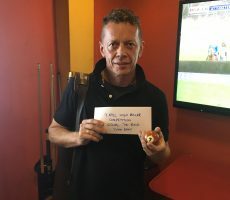 In the final he comfortably defeated Kenny by 6 racks to 1 (race 6-5) to lift the trophy. 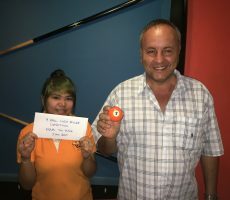 Kenny also played some great pool to reach the final, but found Marcel too tough, and received 10000 baht as Runner-Up. 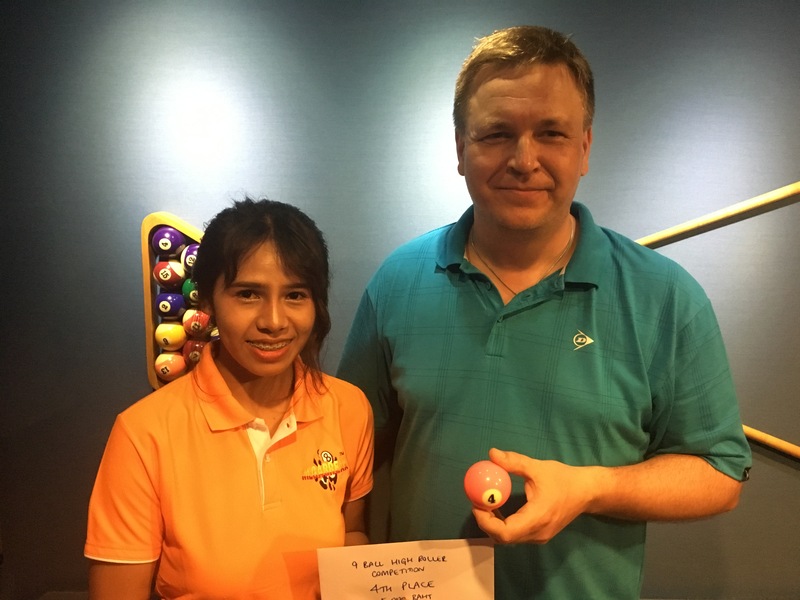 In 3rd Place was one of Thailand’s best female players, Nam Pennipa Nakjui. 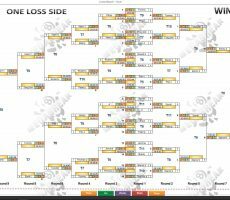 She lost her first match on Day 2, before winning five consecutive matches on the One Loss Side of the draw, and would eventually be edged out by Kenny in the deciding rack of the One Loss Final. 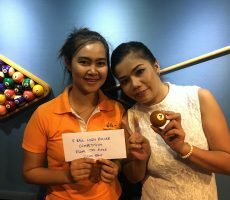 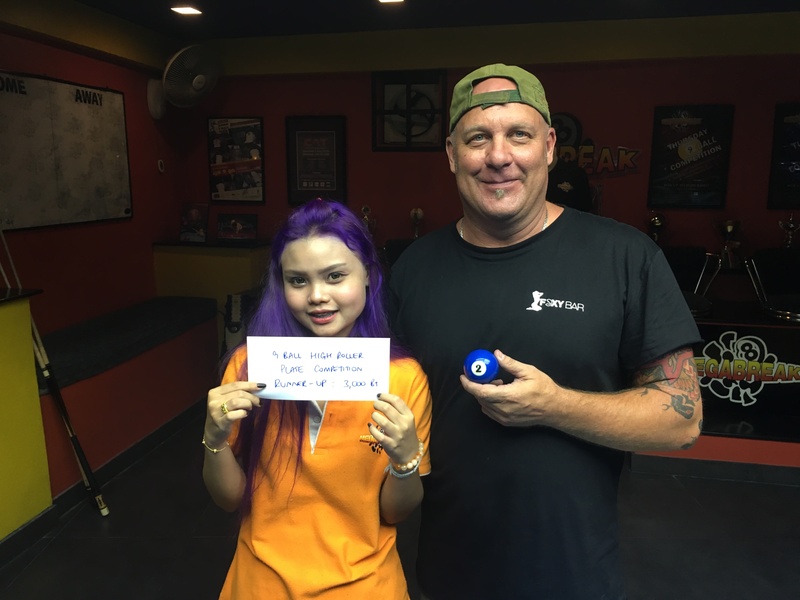 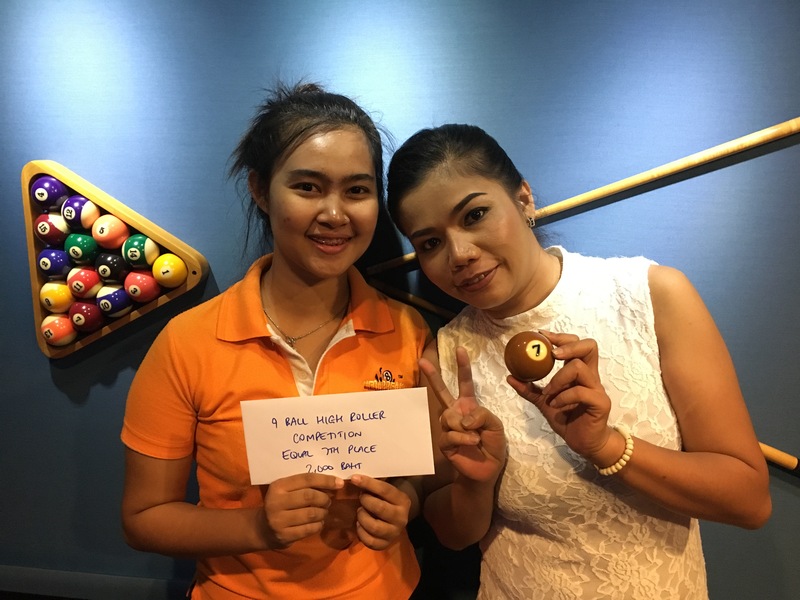 She took home 7000 baht. 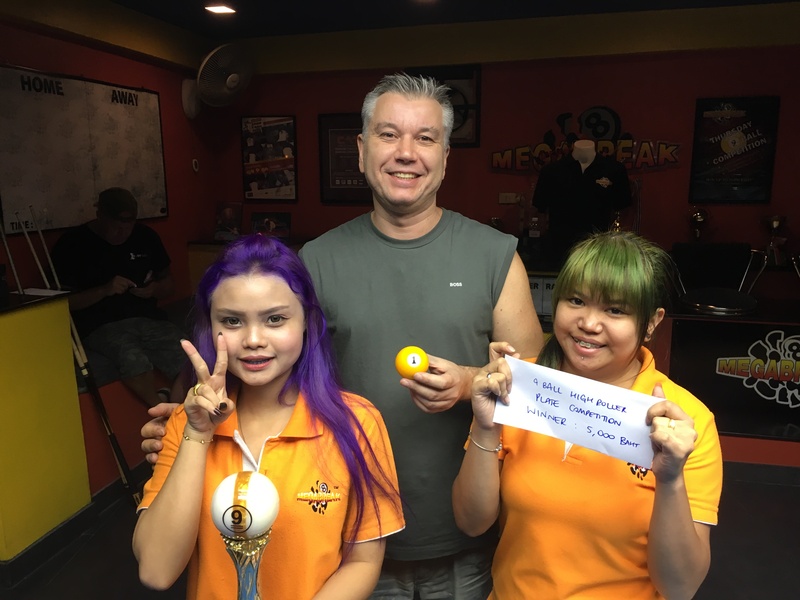 In 4th Place was Sami Lahti from Finland, who played consistently well over the two days, receiving 5000 baht. 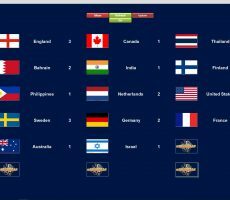 In Equal 5th Place were Thailand’s Tong Songyouth Wattanasagonpunt and Tommy Fineman from Israel, each collecting 3000 baht. 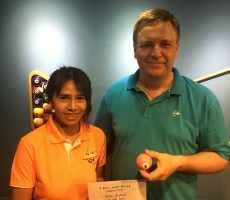 The other money winners were Rob Schnabel from Germany, and Pen Thaniyaporn Chaithaveesiri from Thailand, who each took home 2000 baht in Equal 7th Place. 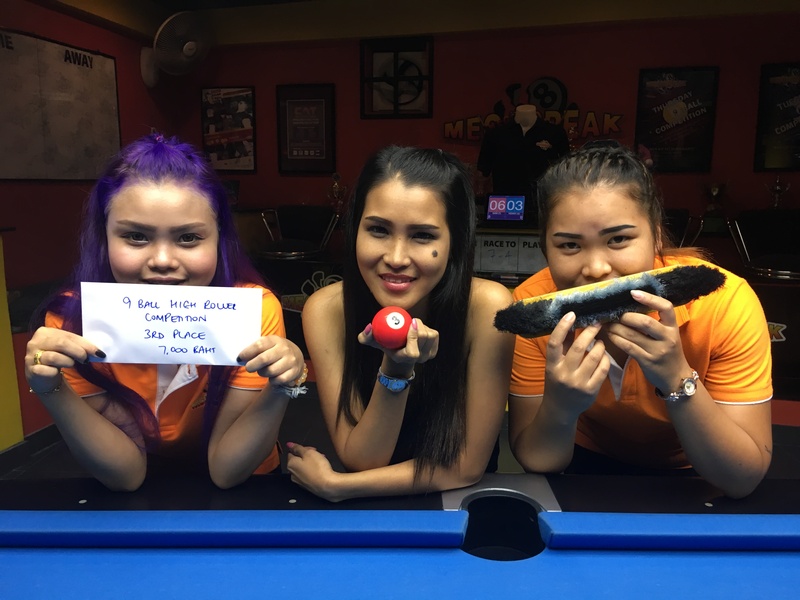 Megabreak would like to take this opportunity to thank all the players, supporters, and staff for making this tournament a great success.